If you haven’t seen the latest installation of Steven Spielberg’s Jurassic movies, Jurassic World, we promise not to spoil anything for you. What we will say is that among the stars of the movie are some pretty incredible Mercedes-Benz vehicles, including the debut of the new and very exciting GLE-Class Coupe. Of course starring alongside the all-new GLE 450 AMG® Sport are some very recognizable models that will be familiar to any of us, like the ever popular Mercedes-Benz G-Class G 550, the latest Sprinter Vans, and the amazing G 63 AMG® 6X6 SUV. And that’s not to mention the indestructible Mercedes-Benz Unimog that pulls veterinary duty for injured dinosaurs. But the real star (aside from the CGI-created dinosaurs themselves) is the GLE-Class Coupe. This brand new model is a departure from traditional Mercedes-Benz styling, and offers a new look at styling for a coupe. Think of it as a 4-door coupe meets crossover SUV – but done with impeccable Mercedes-Benz style and engineering. This truly is a unique and innovative design that is bound to raise some eyebrows… and quite a few pulses, we’re sure. Fans of Jurassic Park, The Lost World will recall that the 1997 sequel to the original movie featured the debut of the Mercedes-Benz M-Class SUV. It’s only fitting then that the new GLE-Class takes over the spotlight, as it moves toward replacing the M-Class in the lineup. In its coupe iteration, the new GLE-Class is uniquely designed as a powerful and capable 4-door transporter that clearly carries a crossover heritage. In fact, a GLE-Class SUV is also in the works, and uses the same underpinnings. The GLE Coupe will feature a chunkier appearance and a 362-horsepower biturbo V6 engine. It will also be enabled with 4MATIC® all-wheel drive for superb handling and responsiveness. We can also expect a wealth of other Mercedes-Benz features like Dynamic Select, Collision Prevention Assist and available Distronic Plus. Sitting on its 21-inch wheels and with the ground clearance to show for it, this new GLE-Class is going to be perfect for our Denver-area driving conditions. In preparation for the shooting of the movie, which actually took place more than two years ago, the specialists for Mercedes-Benz took great care in shielding the new model from eager photographers. “The security measures on the set were huge,” said a spokesman for Mercedes-Benz. 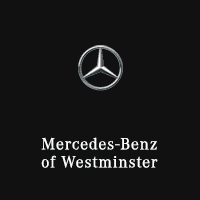 So while Mercedes-Benz vehicles continue to take billing alongside the various dinosaurs and stars of Jurassic World, we here at Mercedes-Benz of Westminster will continue to play our role of providing the excellent customer service and luxury car-buying experience you expect from us. If you are interested in the all-new GLE-Class, drop us a line. We’ll be sure to let you know as soon as they arrive here in our Denver-area dealer showroom.